One of the secret weapons that a 3PL, and thus a retailer using a 3PL, has at its disposal is the ability to put items together in kits. The process of doing so is called “kitting,” and it is usually carried out by the same facilities and staff that handle order fulfillment. 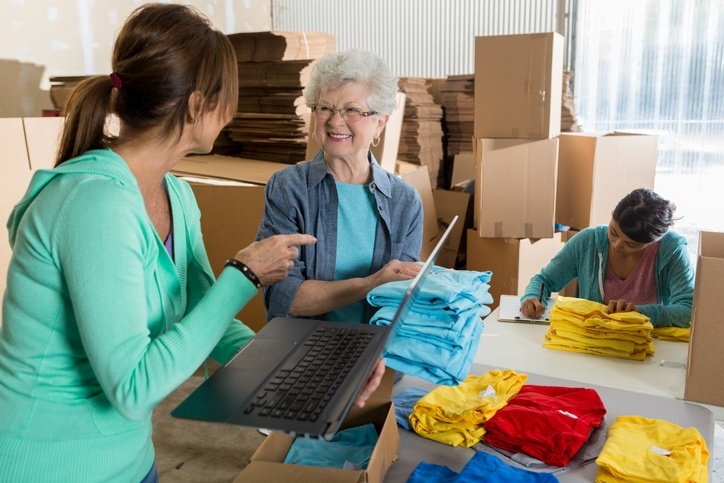 Generally speaking, “kitting” is the process of assembling, packing, and shipping multiple products in a single package or SKU so that a customer can purchase them together. While the concept is simple, the business benefits of kitting are often lost. For this reason, I thought it would be a good idea to offer a quick introductory course on kitting and what it can mean for your business. For instance, a maker of gourmet snacks might combine their products as a holiday gift pack, selling it at a premium and at a volume much higher than individual items. Or a seller of toiletries could combine a slow-moving hand lotion with fast-moving razor blades and toothpaste in a handy travel kit. A vitamin manufacturer can provide free samples. And so on. Thus, kitting is a low-cost way to move inventory and create purpose around sets of purchases. There are two basic ways that 3PLs go about their kitting: Assembling kits ahead of time, or assembling them “on the fly” as the kits are ordered. Building kits ahead of time is the less costly option. As long as the appropriate inventory is on hand, building the estimated number of kits needed, all at one time, allows for certain efficiencies that can help control costs and reduce fulfillment time. That said, if the stock of components for a kit is limited or in high demand as individual sale items, it might make more sense to assemble kits as orders are received. The only downside here is that assembling the kit adds onto the time to get the order fulfilled, sometimes by as much as a day. 3. You have the stock available. If you are barely keeping an item in stock as a standalone order, you might not want to tie it up in kits. 4. There is an additional sales opportunity. Offering kits should be a way to boost sales. If you can move items that otherwise would not sell, the kits are working! Your sales numbers will bear this out. - Experience with kitting. Does the 3PL kit often? Do they have processes in place for doing so? It’s surprising how many 3PLs offer kitting but simply do it on-the-fly via special instructions. - Inventory updating and control. When you set up product kits or bundles as a single product, you still need to keep track of the inventory used. A good 3PL will decrement the inventory for each individual SKU that makes up the kit. Such changing should also update all sales channels simultaneously. - Software and integration. To take full advantage of kitting, you will have to monitor sales across your channels and be sure that fulfillment occurs correctly—especially if there are special instructions. A good 3PL should have powerful software to make that data transfer happen. If you would like to hear how Materialogic handles its kitting services, I’d love to start a discussion!